Increasingly of late, discussions about Tesla and its investability have led to discussions about Elon Musk and his at times brittle mental health. While Musk and the brand have always been synonymous, the emphasis on Musk when it comes to the company's attraction to investors has only increased, with Musk's recent behavior. 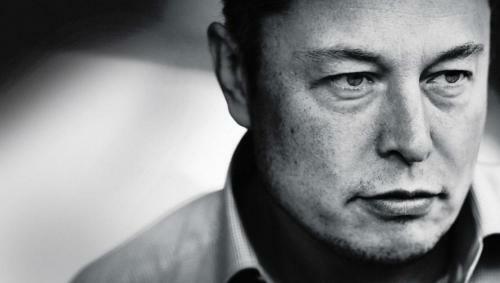 But most recently, the deepest dive into Elon’s personal demeanor came from a lengthy write up in the Wall Street Journal that spills even more details about Elon's ego and, if even possible, raises more questions about the man at the top of Tesla and his battle with what has emerged as his worst enemy: his ego. The article opens with a previously untold story about Musk inquiring why an assembly line at his Fremont factory had stopped during a tour this spring. After being told that safety sensors held up the line, it is reported that Musk became angry and begin headbutting the front end of a car on the assembly line to make the point that it couldn’t hurt anyone. When he was told a second time that the stoppage was for safety reasons, he reportedly told a senior engineering manager to "get out". The manager was then fired, though Tesla claims to the WSJ it was for other reasons. According to the same report, Musk "answers to no one" at Tesla and can frustrate his employees by micromanaging and taking tasks into his own hands. As a result, Musk is now "isolated" after dozens of senior executives have left, because of this behavior. This may lend credibility to long-held beliefs of many company skeptics that Musk could be the reason for the high executive churn at the company. The Journal delves into his childhood, growing up in South Africa, reaffirming many of the stories and biographical details the mainstream media has already discussed for years. His uncle went on record to say that his curiosity was a driving force, and then he always had an appetite for books and consuming information. Interestingly, the article also notes that Elon's brother, Kimbal Musk, became his "best friend and confidant" while at school as a child. Kimbal now serves on Tesla's board, which is under fire by some bloggers and major shareholders for being too complacent. Most are also familiar with Musk's successful career leading up to Tesla, which the media has publicized for years. Where he derives his inspiration is another matter. The Journal famously recanted a story about how Musk, after contracting a case of malaria in Africa "reconsidered his life…and concluded with some grandiosity that he could save humanity by colonizing Mars." The article also reaffirmed that Musk works extremely long hours, sometimes as many as 100 to 120 hours a week, according to people close to him. Musk reportedly "expects much the same" of his employees. Former employees are quoted as stating they prefer to communicate with Musk through e-mail in hopes of a simple "OK" answer. After emails were sent to him, they would "wait nervously" because a lengthy response from Musk would usually be criticism or new orders. Musk also apparently we have managers come to the factory at any and all hours of the night, according to the report. Musk became so unpredictable that his employees actually tried to anticipate what kind of mood he would be in based on what was happening in his personal life. The Journal stated that some employees even tracked the hair color of his second wife in order to try and get a read on Musk's mood. ​And while the ongoing criticism of Tesla, even from some of its most outspoken critics, has been that Musk needs a "number two" at Tesla, people familiar with his thinking have told the Journal that he hasn’t found anyone with "expertise or vision" that appeals to him. We wonder if such a person exists. Musk also reportedly told executives that he didn’t intend on serving as CEO of Tesla for the long term, but rather that his intention was only to bring the company "up to speed" so he could focus on product development. According to the article, the two most likely replacements for Musk as CEO were Doug Field, engineering chief, or Jon McNeill, sales chief. Both no longer work at the company. Instead, Musk has absorbed their rolls instead of hiring replacements. As for Musk's obsession with short sellers? It hasn't subsided at all. The WSJ claims that Musk follows the Twitter "$TSLA" cashtag and that he believes that short sellers aren’t just betting against Tesla, but rather they are trying to "undermine his good intentions in the world". Musk has also spent time trying to reach out and silence his critics. Aside from the recent high profile story, in which he called the boss of the popular Tesla critic, "Montana Skeptic"; Musk also reportedly emailed the CEO of Volkswagen to ask if an employee of his was criticizing Tesla on Twitter using a pseudonym. The question of whether or not Musk's critical entanglement with Tesla is clear to all investors – and, correspondingly, how it could affect the investment thesis – remains to be seen.